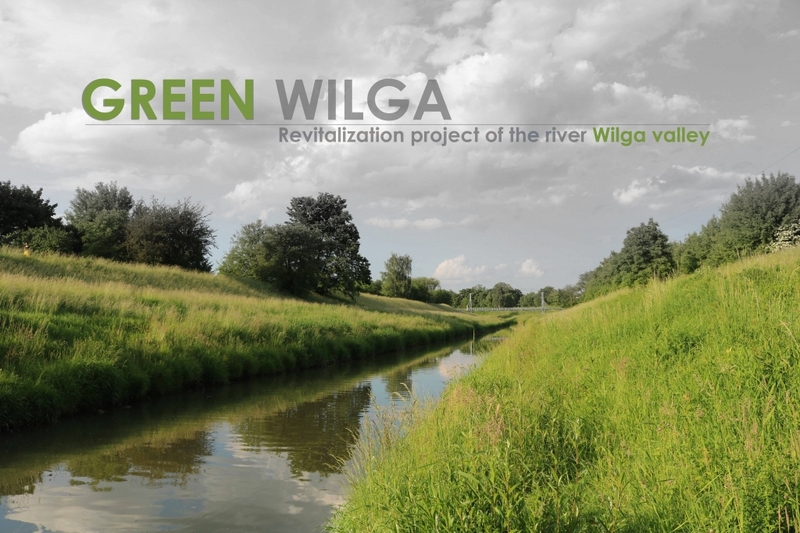 The riverside of the Wilga Valley, located in the area of the former Ludwinów settlement, have been valued by the inhabitants for centuries due to the diversity of biotic and abiotic resources. 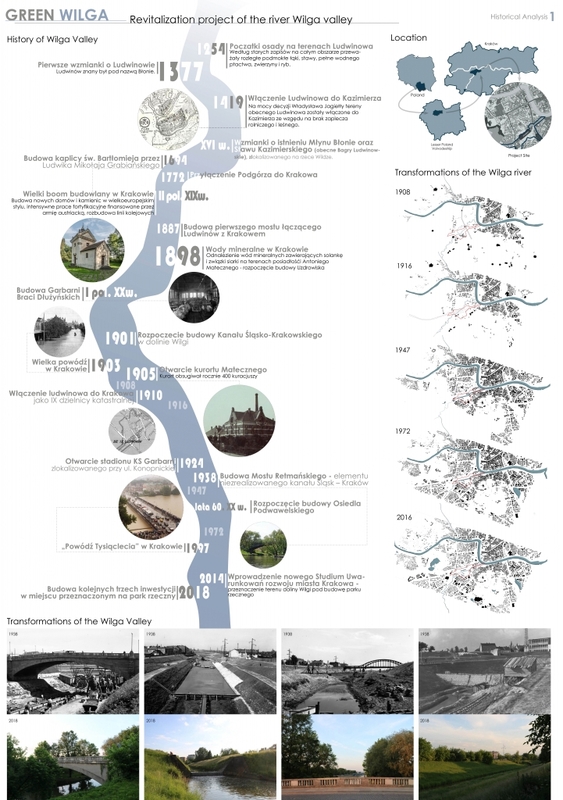 At the end of the 90s of the twentieth century, it was planned to create a river park Wilga - an enclave of greenery in the very center of Krakow. 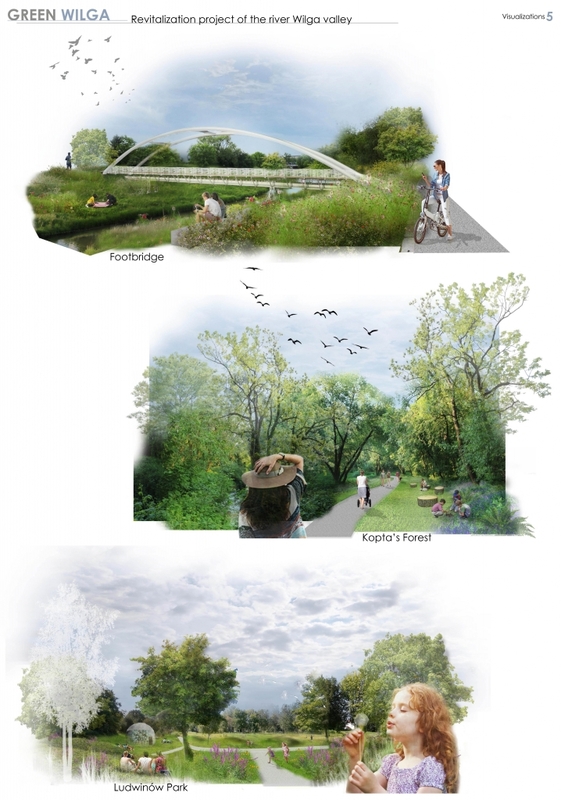 However, this green space with high landscape values was also the focus of developers’ interest and in a short time, several fragments of it were built with concrete blocks, surrounding them with a fence, which further hindered the movement of pedestrians between the remaining green areas. 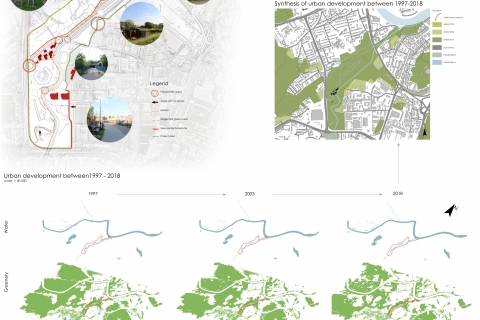 This project was created primarily to draw attention to the deteriorating situation of riverside greenery located in the city center and increased retention, which results in reduced water flow to water reservoirs. 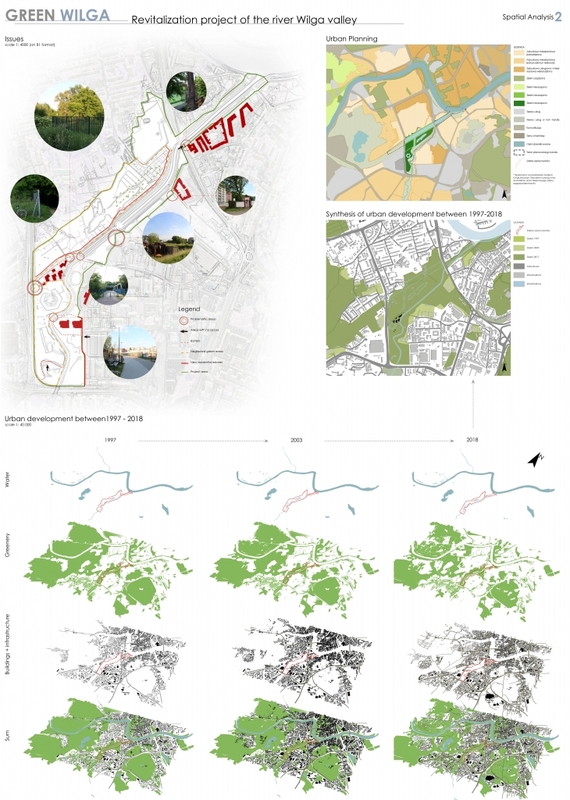 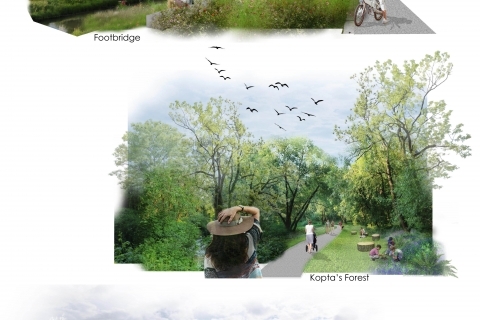 Another goal was to create a functional and compositional concept of a selected part of the Wilga Valley aimed at improving pedestrian and bicycle commutation as well as increasing landscape values through minor design measures. 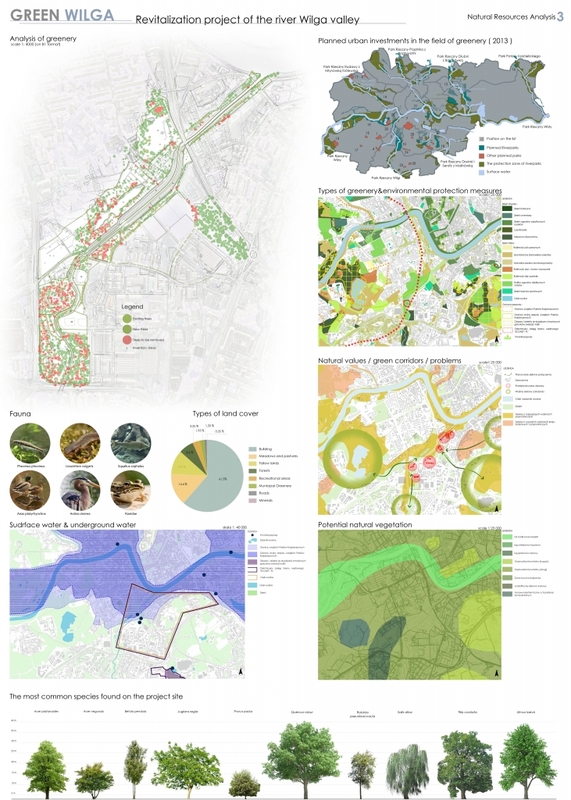 The design phase was preceded by detailed historical, natural and planning analyzes, as well as a landscape valorization study, on the basis of which guidelines and directions for space development were set. 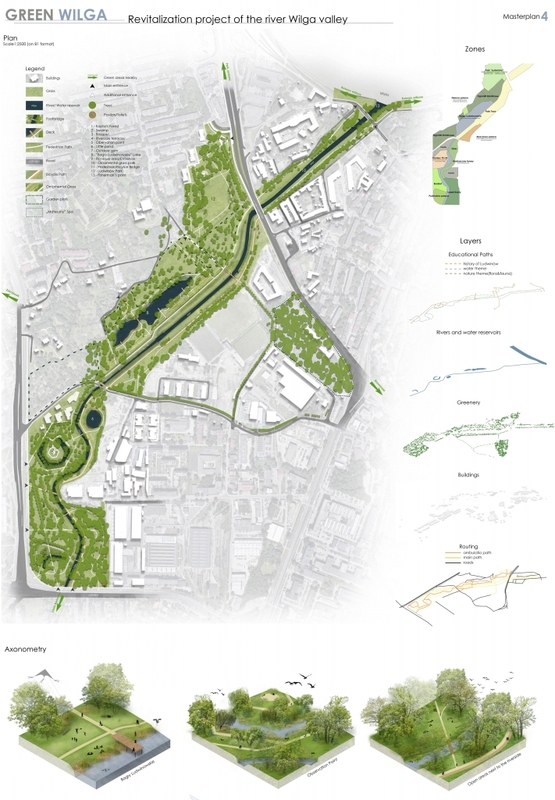 The concept includes the Masterplan presented in scale 1:2500, showing the new path system, greenery management and division into several functional zones. 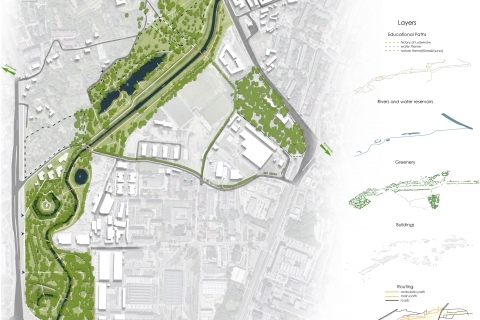 The range of allotment gardens has been slightly modified to make valuable areas available for everyone (examples: the Bagry Ludwinowskie water reservoir). 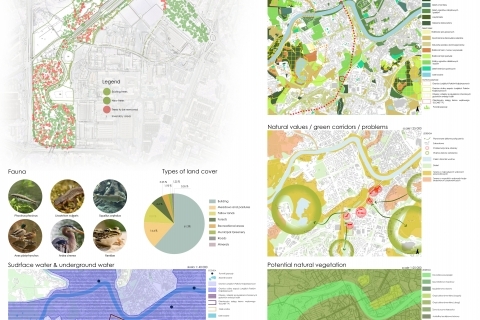 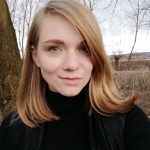 Thanks to the introduction of small changes, it will be possible to create a network of green connections between larger parks and natural reserves located in the city of Krakow.